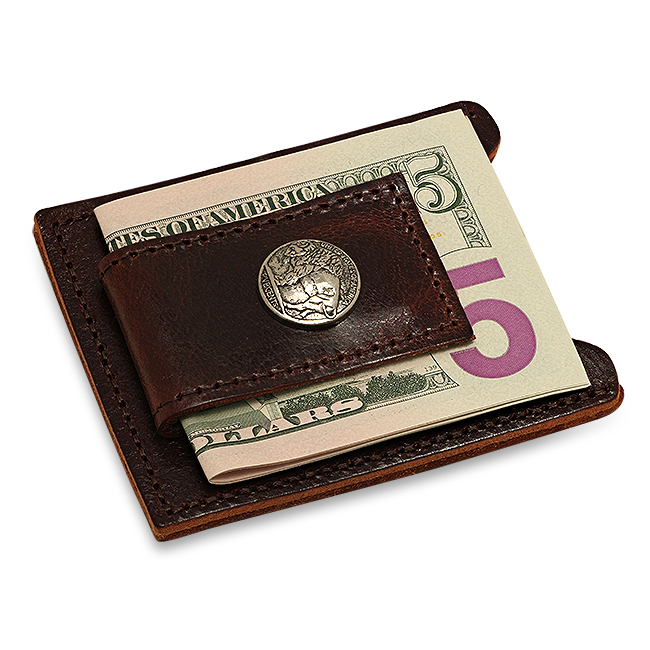 If you've always been fascinated with the history of old coins, you will love this Buffalo Nickel credit card wallet and money clip! 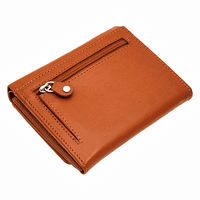 It's available in either Black or Brown leather, with an antique silvertone Buffalo Nickel emblem on the front of the attached money clip. 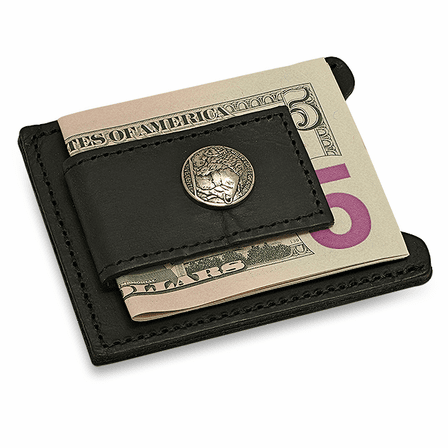 The money clip has a strong magnet that allows it to grip from 10 to 12 folded bills with ease. 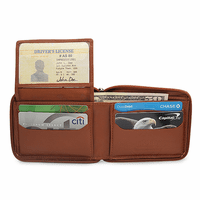 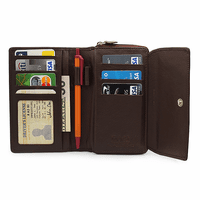 A center slot in the wallet holds from 1 to 3 credit cards, giving you a compact wallet that is slimlined and measures just 3 3/4" x 3 1/2". 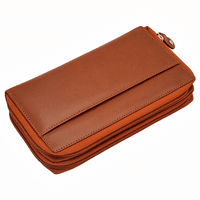 And, it's made in the USA, just like that old-time Buffalo Nickel!.